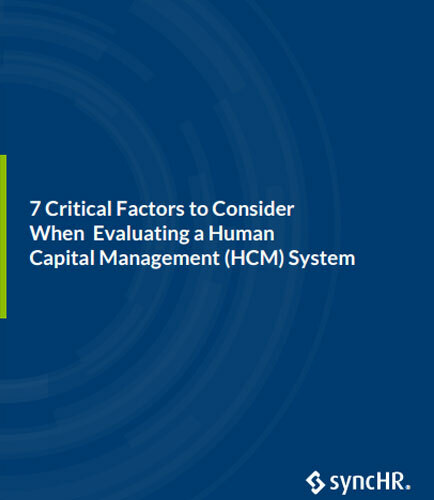 "Factors to Consider while Evaluating a Human Capital Management System"
Human Capital Management is defined as the process of managing an organization’s employees for them to contribute significantly in the overall productivity of organization. Organizations have their pick of these HCM solutions is making the decision of ‘which is the best’ for your organization a challenging one. As the digital HR is a top priority and with this surge of understanding for the growing importance of digital HR, it must be acknowledged that choosing the right HCM platform is equally important. These key functionalities are most important and when you put them together in an innovative and intuitive way, it transforms your entire approach to human capital management.